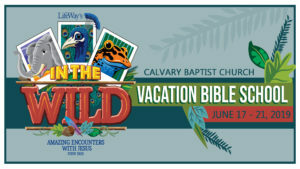 Vacation Bible School at Calvary! Join us at In the Wild™ for a week of amazing encounters with Jesus. Kids will begin each day at Panoramic Point. From there, kids will gather at the Watering Hole where they will be equipped to dig deep into God’s Word. Kids will learn that Jesus Christ is the Messiah, the Son of God, and by believing we can have life in His name. Each day kids will make crafts, play fun games, enjoy tasty snacks, sing cool songs, and learn about missions. Register online by (clicking here). We have adventure groups for kids age 5 (by Sept 1st) through 6th grade (based on last grade completed). Grab your camera. Gas up your ATV. 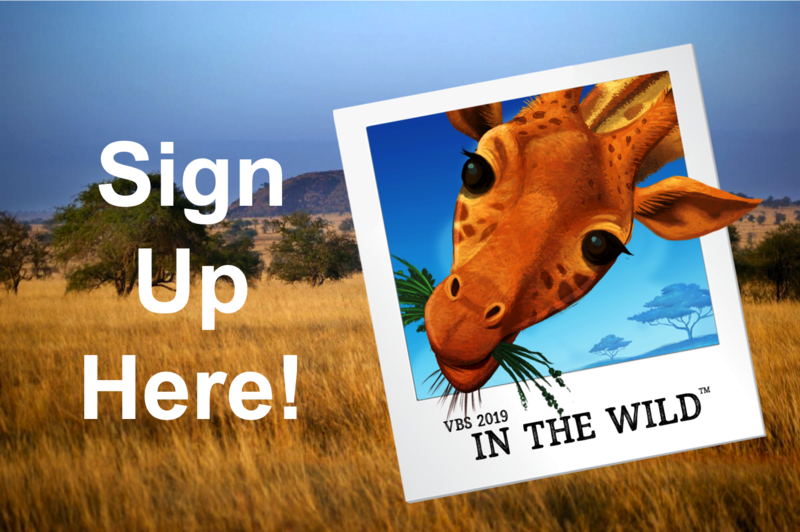 It’s time to register for VBS!